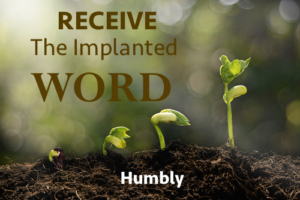 Am I willingly and humbly receiving the implanted Word? We LOOKED at ‘what’ we must do to receive the Word of God. We want to continue LOOKING at receiving the Word of God. Lord, we come today needing eyes to see and ears to hear. So may You, Holy Spirit, illuminate our thinking today. Meet each one of us where we are at. Grand us the understanding we need. Move deeply within us to change us. Thank you! We are reading to know, to learn. Zero in on James 1:21. What have we put off? We have put off all filthiness [in a moral sense] and wickedness [sense of malice]. Have I put off all filthiness, in a moral sense? Or, am I deaf to God because I am an immoral person? Have I put off all that remains of wickedness? Or, do I have malice in my heart, wanting to do evil to others? 1. 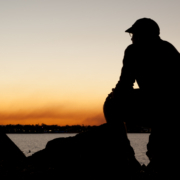 What does God tell us we have ‘put off’? Light represents Jesus, purity and holiness! Have I laid aside the deeds of darkness and put on the armor of light? What is my lifestyle? How am I behaving? Is the habit of my life purity and holiness? Struggling with strife and jealousy? Have I laid aside my corrupted old self? Have I consciously put aside these things above? Or, do I struggle with anger, wrath, malice, slander, and abusive speech from my mouth? How am I running the race? Have I laid aside every encumbrance and sin that entangles me? If not, what baggage from the past am I still carrying around? Understand: These sins hinder us from receiving Truth. Do you see: a progression? we want to deceive others. Have I confessed and repented of these sins? any and all malice (wickedness)? any deceit, dishonesty, falsehood in my life? Do I envy and want what others have? Am I guilty of slander? Do I talk about others behind their back? 2. In Contrast, according to Romans, what have we ‘put on’? Have I put on the Lord Jesus? How do I refuse to give in to my flesh and its desires? We ‘Put Off’ in order to Receive the Implanted Word of God. Let’s Look at the Cross References about ‘Receiving The Word’. 1. What does God say about ‘the Word’? Do I desire to live by every Word of the LORD? Why? Why not? What am I doing to accomplish this? Do I truly long for, crave, the pure milk of the Word of God? Why? Why not? Am I pursuing my growth? How is the Word of God growing me? Do I underestimate the power of the sacred writing’s (Old Testament) ability to give wisdom and lead to salvation? 2. In contrast to anger in verses 19 and 20, how does James say we receive the Word of God? In my trials and temptations, am I listening for God’s Word, and receiving it willingly, submissively, and humbly? The Word was implanted in our hearts when it mixed with faith leading to our salvation and growth. We must put all the sin, the garbage, out of our lives. We receive the Word in humility as opposed to anger, willing to submit and obey. RECEIVING IT willingly, submissively, and humbly. Reflect – Meditate on the implanted Word that God just spoke to you about putting all the sin, the garbage out of your lives. Remember your soap and scrub brush is (1Jo 1:9). “Blessed are those who hear the Word of God, and observe it,” (Luk 11:28). 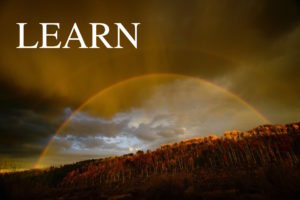 Try to take a minute to put what you have LEARNED from the Cross References not only in your Notes but also in your hardbound Bibles next to Jam 1:21-22. OH FATHER, I so pray we were quick to hear You speak today as we see what should have been put off, laid aside, and then put on. May Your Word lead us to repentance! May we acknowledge any impurity, any sin that is blocking us from hearing You clearly. May we get rid of any evil and/or intent to do evil. May we lay aside every encumbrance and sin. May we confess and be cleansed of our sins today! Oh Father, we do realize we need Your constant forgiveness as we do stumble and fall daily. Let Your Word dominate our thinking, cleanse us and control how we live. In humility may we receive Your Word to us today and obey what You are telling each one of us to do. And Father, if there is anyone who has joined us in this discovery who has not had ears to hear the gospel of Christ, I pray You open their ears today, move upon their hearts, to receive the Word that is able to save their souls. May they bow the knee to Jesus and receive forgiveness of their sins. And may we all walk away with a new awareness and devotion to Your Word, honoring You in all we say and do. May we cling to Christ in whose name we pray. Amen! Next: we will unfold James 1:22-25. James 1:21 Receive: Put Aside Filthiness Part 1 James 1:22 Don’t Just Hear, Do The Word!